While there’s plenty to do and see in Montreal, locals and tourists alike sometimes seek to escape the city and explore the natural and historical sites beyond. Since the city is an island, a variety of interesting towns and attractions are only a couple hours’ drive away—here are 10 popular and easy day trips from Montreal. 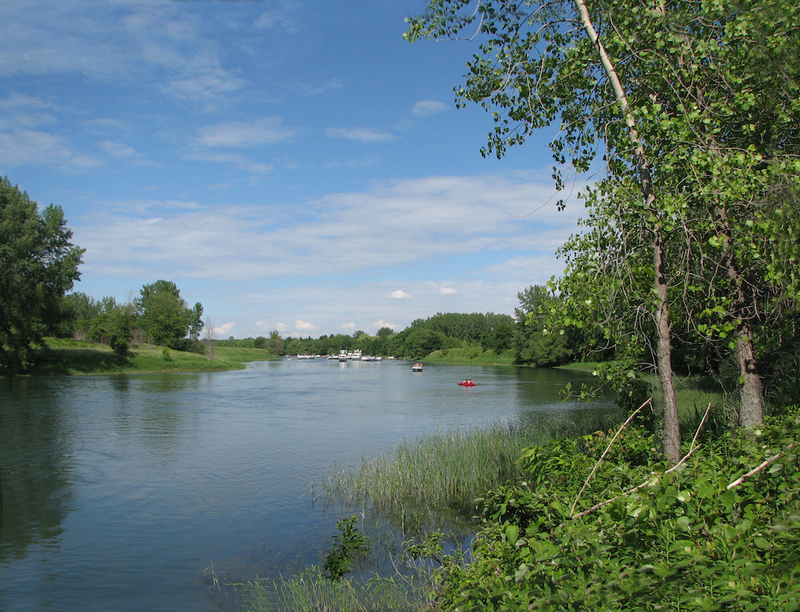 The Parc National des Iles-de-Boucherville consists of a chain of islands located just a few miles from Montreal. The park is visited by almost 300,000 people annually, who come year round to walk and hike, run, canoe, bike, ski cross-country, or snowshoe around in this stunning slice of nature. Gear and equipment are available to rent on site, and the park also offers educational experiences for learning about wildlife, conservation, the long history of First Nations presence in the area. Domain Labranche is a family-operated business in a beautiful natural setting south of the St. Lawrence River, just a half hour drive out of Montreal. Visitors come to experience a historic sugar shack (cabane à sucre) along with the surrounding grounds, which include a mini farm, hiking trails, an interpretive signage circuit, a vineyard, and guided tours. Domain Labranche offers a unique local culinary experience and serves wines, farm-fresh foods, and creative maple-infused meals. For a nice and accessible hike, look no further than the Calvaire d’Oka hike. The trailhead is located just across the street from Oka Provincial Park, which is also worth incorporating into this day trip from Montreal. Don’t have access to a car? Bring a bicycle on the AMT train toward Deux-Montagnes and take the brief 6.2-mile (10-kilometer) bike ride to the trailhead. 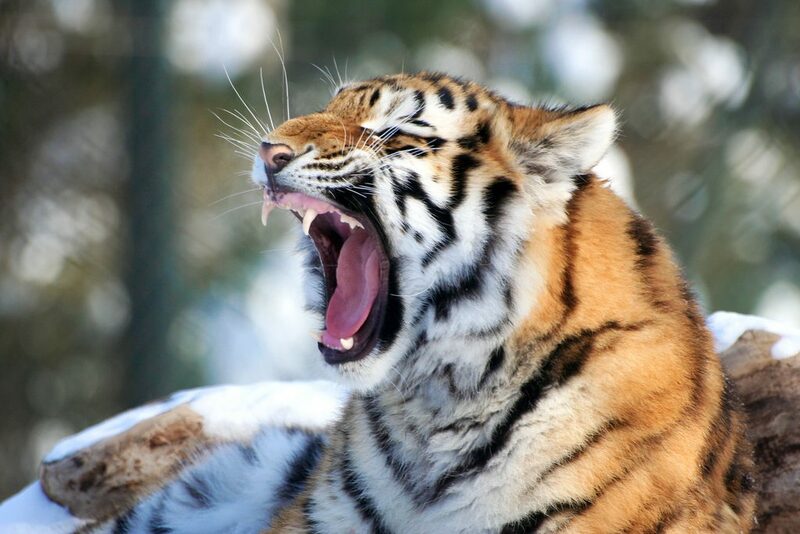 Granby Zoo, the largest zoo and conservation area in Quebec, is home to over 1,000 different animals, with 200 species from nearly every continent on the planet. The zoo, approximately an hour from Montreal, receives 516,000 visitors annually and is a great all-ages trip for those wanting to escape the city for a day. After exploring all of the exotic wildlife, visit the zoo’s water park across the street. The Canada Railway Museum, just across the St. Lawrence River, offers a historical glimpse into the country that we know today. Showcasing a variety of technological and engineering breakthroughs, the museum celebrates and memorializes the laborers behind the development of railroad tracks and train transport. Visitors can reach the museum by car, bus, or Candiac/St-Constant commuter train from metro Lucien-L’Allier. A Quebec Heritage site, the Sucrerie de la Montagne is an authentic sugar shack that is open year-round (most sugar shacks tend to be open only during the winter months). 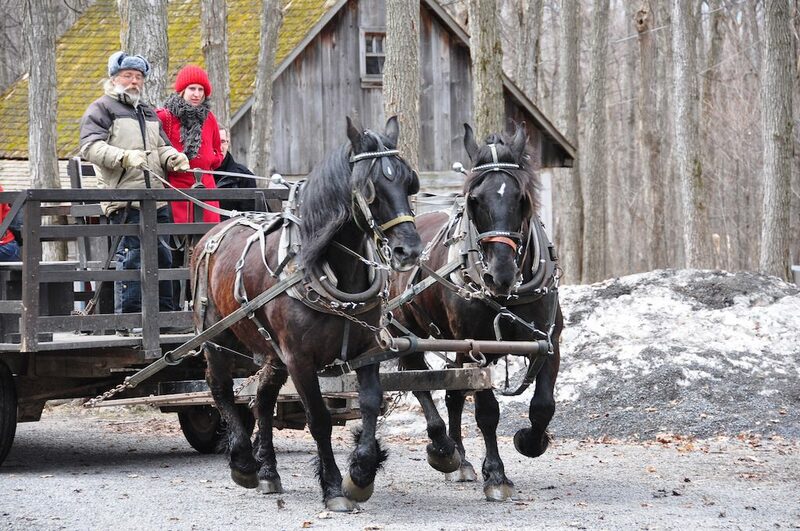 Nestled in a 120-acre forest of century-old maples atop Mont Rigaud, west of Montreal, the sucrerie offers visitors transportation back in time to gain insight into the life of Quebec and Canadian pioneers. The site includes a general store, Quebecois restaurant, and a bar. Want to extend the day trip? Cabins are available for rent on the property. For a day trip with a slightly longer commute, tourists and Montrealers alike frequently take the two-hour drive northwest of the city to explore Mont-Tremblant and its well-known four-season ski resort and national park. The village, fashioned after a traditional Swiss mountain town, offers a range of summer activities for non-skiers, including mountain biking, swimming, canoeing, stand up paddling (SUPing), and hiking. During the winter, the area is a popular destination for snow-sport aficionados, including downhill and cross-country skiing, show-shoeing, snowboarding, and more. For Montrealers seeking lakeside or natural escape vacations, the Laurentides and the Eastern Townships, each approximately two hours from the city in opposite directions, are the two main locations. The Laurentides developed its cottage culture during the 20th century, attracting visitors from Ontario and New England. The Eastern Townships offer lakeside vacations, day trips, festivals, and various wineries, and visitors can pursue a range of outdoor activities and attractions in both areas. Although it’s in the neighboring province of Ontario, Ottawa is just two hours from Montreal. Beyond driving, multiple bus routes and tours and a rail line go between the two cities. Home to Parliament Hill, the heart of Canadian government, Ottawa also has a strong culture of green travel, festivals, markets, and outdoor music events. Other popular attractions include Rideau Hall, Canadian Museum of History, Royal Canadian Mint, and more. Quebec City, approximately three hours northeast of the city, is probably the most popular day trip from Montreal. It is one of the oldest European settlements in North America and is characterized by historic architecture and the Vieux-Quebec (Old Quebec) district, surrounded by the walls that shaped the original fortress. Must-see attractions include the National Assembly of Quebec (provincial legislature), National Museum of Fine Arts of Quebec, and Museum of Civilization. Transport options include bus routes via Orleans Express.